That’s why The Support Directory was designed – with you in mind. Giving your team access to up to date, central information about your local services – enabling you to serve more clients – whether it’s online, on the phone or face to face. And don’t forget what this would mean for your Quality Standards. 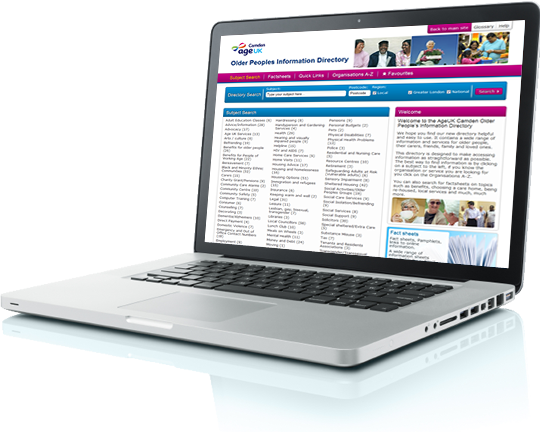 Using The Support Directory, your team can deliver an improved service. Accessing centralised information, they will always give the same advice, whoever the client speaks to. Additionally, your clients can access information online without needing to speak to your team - perfect for those that want to get reliable information by themselves. If you complete funding applications, you will understand the importance of providing key statistics – with The Support Directory, you will receive quarterly reports – giving you the insight you need to secure funding. We’re not just talking about the money that you will save by managing and updating your services in one centralised online system or what you will save on print costs. Add your staff’s time – being able to respond quickly to any query but also the space that you will save. No more need for bulky filing cabinets – all you need is a computer and an internet connection and off you go.